If you are looking for information on the Candleman franchise business opportunity, Candleman retail candle store franchises or Candleman candle store franchising, then you have come to the right place. 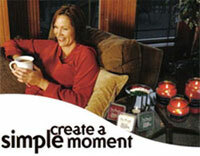 Candleman® is a specialty retail franchise system offering upscale candles and accessories from around the world. Candleman® is driven by a successful group of entrepreneurial people who are reaching their goals by working for themselves, not by themselves. Our unique market niche of the greatest assortment of candles and accessories for home decorating and entertaining, positions your business for exciting and successful growth. Buying Power. Use the power of our system and the leverage of being a part of a franchise with many stores. Our professional buying group has negotiated exclusive promotions and products for our stores to create higher margins for our owners while keeping costs reasonable for the consumer.